If you have been arrested for state or federal drug crimes in Nebraska, including anywhere along Interstate 80, these are serious criminal charges that become even more complex if you are an out-of-state resident. 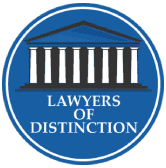 At this critical juncture, you need the adept and aggressive legal representation of Olsen Law Offices, P.C., L.L.O.. and criminal defense attorney Tom Olsen. 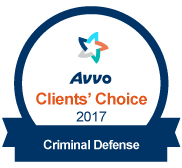 With more than 30 years of trial experience, including as Former Assistant State Attorney General and Assistant Omaha City Prosecutor, Attorney Olsen has secured favorable outcomes for thousands of clients charged with narcotics offenses. He is the ally to have fight for you. Law enforcement is constantly looking for possible drug transportation on this major highway that connects the western states with legalized cannabis to the eastern U.S. They will often look for even the slightest driver error or remotely suspicious behavior as a reason for a traffic stop. From there, a drug dog search can locate drugs on board, and an arrest follows. This happens daily across the state as police target vehicles possibly hauling legally purchased marijuana from neighboring Colorado or elsewhere. If you face allegations for possession with intent to distribute, drug trafficking, or drug manufacturing, it is critical you call Olsen Law Offices, P.C., L.L.O.. immediately. We are available 24/7 to assist you, including for methamphetamine, heroin, and cocaine charges. Yes, reduced or even dropped charges are a possibility, depending on the circumstances of your case. With a complete investigation, Attorney Tom Olsen can determine if your rights were violated by the initial traffic stop and if you are a victim of illegal search and seizure by law enforcement. If no unlawful police action occurred, Attorney Olsen will fight to keep a conviction off your record, including negotiations with prosecutors for reduced charges or a second chance via the National Safety Council, Nebraska Diversion Program for first-time offenders. If your case goes to trial, Attorney Olsen has frequently reached favorable outcomes for his clients in court, including those in possession of more than 1,000 pounds of marijuana. 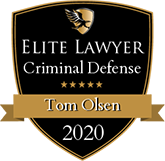 Regardless of the crime of which you stand accused, you can trust Attorney Tom Olsen will work diligently to protect your future. With so much at stake, he is the legal advocate to entrust with your case. 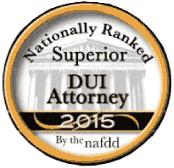 For help, call Olsen Law Offices, P.C., L.L.O.. at 402-598-5789. We offer free consultations so we can carefully assess your situation and discuss the best course of action with you. Contact us so we can get started on your case today. 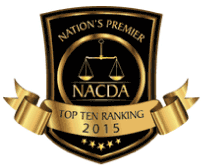 From our Lincoln, NE office, we serve clients throughout Lancaster County and along the I-80 corridor. We are available 24/7 and serve clients in Lincoln County, North Platte, Dawson County, Lexington, Buffalo County, Kearney, Hall County, Grand Island, Hamilton County, Aurora, York County, York, Seward, Sarpy County, and Papillion.